Having just watched and had time to digest the latest Nintendo Direct, I can’t help but feel a little overwhelmed. When a Direct was announced just a little over a month before the global launch, I reasonably assumed we’d be getting a slight sprinkling of final details before we dived in, in early December. But this isn’t my first Smash Direct, I should have known better. With Nintendo having had previous for going into far too much detail I should have expected an onslaught of granular information, but even by their standards this was some grade A waffling. At just over 40 minutes, Nintendo managed to squeeze in so much detail about their upcoming brawler, which whilst being very efficient, felt at times like pure overkill and totally unnecessary. When you’re taking up valuable Direct time to let people know you have different language options in game and also the ability to change the brightness settings, then you know you’ve fallen down the rabbit hole of silliness. And it’s a shame because at times during the Direct I was actually fed up and frustrated because of such unnecessary information being showcased. I understand and appreciate that a lot of time and effort has gone into Super Smash Bros. Ultimate, as it does with a lot of big budget releases at Nintendo and elsewhere, but this Direct carried on the worrying theme of feeling like a school report. Being told everything and everything that student Masahiro Sakurai and his team have considered irrespective of whether such things are interesting or indeed need to be discussed, is a misstep. The Direct would have been all the better had it just stuck to the necessary new information. But thankfully in amongst some of this superfluous detail was some great announcements that somehow added to the scale and grandeur of a game that is clearly living up to the Ultimate name. The biggest update was around the inclusion of Spirits, finally revealing what that last portion of the main menu was. Spirits form another enormous collectable entity to the game, and serve as pseudo-equipment for your favourite Smash fighters to make them stronger, or have a specific type of advantage in battle. 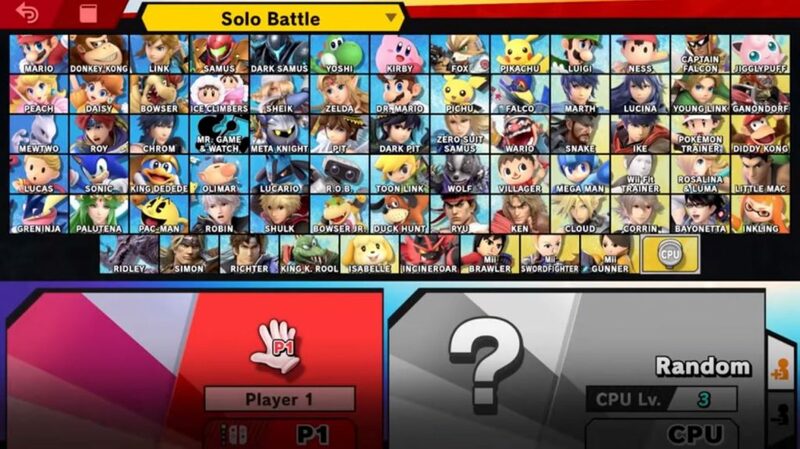 With plenty of customisation options, and an overarching layer of strategy, Spirits could well be something that many will sink a lot of hours into, testing different combination to discover your favourite loadouts, not least appealing to the completionists who will want to try and collect them all – a task that is proving a much harder task with every Smash Direct it seems. We were also treated to the reveal of the final fighters on the roster. Sort of. And these were a bit of a mixed bag in my opinion. 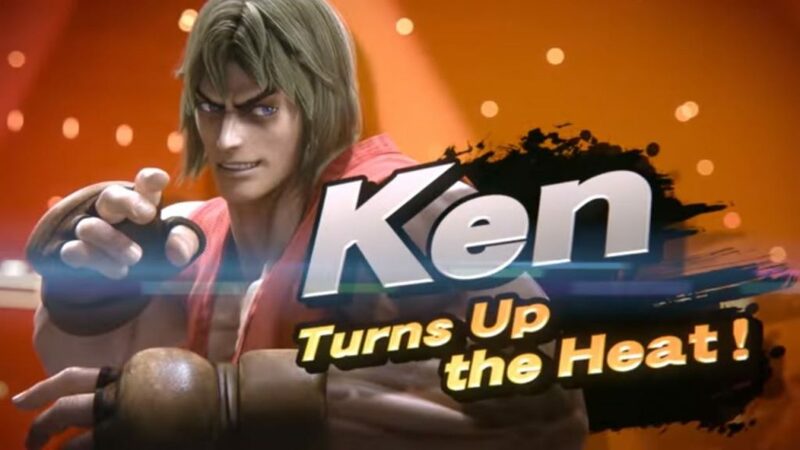 Ken from Street Fighter will always be a welcome addition, as he’s my personal go to character from that franchise, and watching him drop a Shinryuken bought a smile to my face. And he seems to have enough differences to Ryu to make him a worthy addition. Incineroar? No clue, not the world’s biggest Pokemon fan to be honest, and if it’s not Gen 1, I have literally no idea about them. But yeah, a fiery, hairy wrestler, fair enough. And then in what I can only assume was a knife through the heart to all those still pining for Waluigi to be confirmed, as a special bonus to those that pre-order the game, you’ll unlock clearly the more popular character from the Mushroom Kingdom, Piranha Plant. Now I don’t know about you, but I’ve always wanted to play as a Piranha Plant with feet. Said no one ever. A bizarre announcement to top off the starting roster by all accounts, and whilst Petey Piranha as a Final Smash is interesting, and is at least a proper character from the series, it does feel incredibly weak. Definitely not a character people will be rushing to pre-order for. DLC in the form of characters, music and stages was also announced as single payments, or as a season pass for all five at a slightly discounted rate. 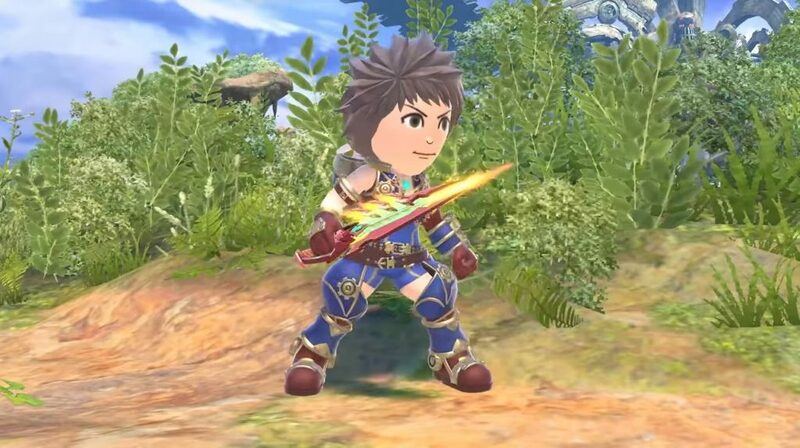 Fair enough I suppose, until Nintendo tugged at my heartstrings – and purse-strings – with the announcement that with the season pass comes the closest we’ll get to having Rex from Xenoblade Chronicles 2 in Super Smash Bros. Ultimate, with a suit variation for the Mii Fighter. Also included is some of the excellent music from the game, which if I’m honest is probably enough to make me take the plunge on the pass even though we don’t know more details at this stage on what will be included, because it’s still being worked on. And then, as they often do, Nintendo left their biggest reveal until the end. And in complete contrast to the rest of the Direct, showed and revealed very little about what it was or what it entails. 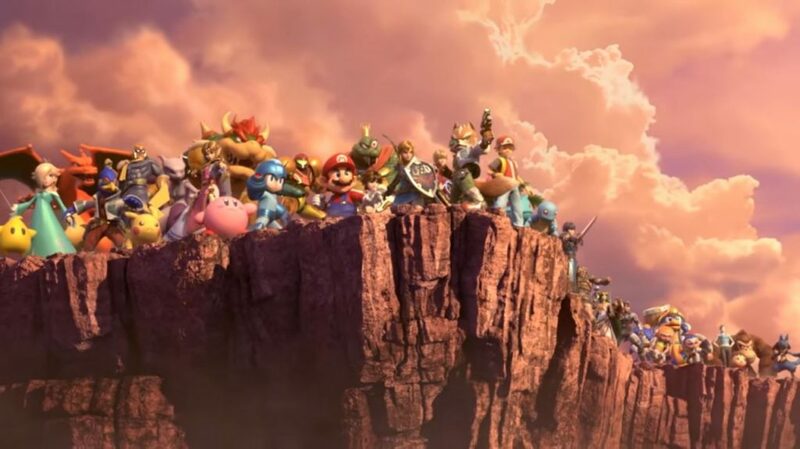 Super Smash Bros. Ultimate’s single player story mode, dubbed World of Light looks set to raise the bar again against previous solid entries such as the decent Subspace Emissary story from Super Smash Bros. Brawl. And I won’t lie, this reveal gave me goosebumps, and sent shivers down my spine. That may sound incredibly dramatic, but it’s true, and it’s because it appears – at least from the very little we’ve seen so far – to be exactly what I wanted in a single-player story mode. What made Subspace Emissary great, was that in between the somewhat repetitive sections, and sometimes contrived battles, was an over-arching plot that spanned the entire Nintendo spectrum, and felt like a very real, good vs bad story, with all the peril, drama and resilience that such a tale brings. It partnered unlikely duos and teams together to overcome the evils of Bowser, Wario, Ganondorf et al and felt rewarding to witness and see through to the end. It also bought a mix of themed exploration levels as well as traditional bouts to keep things fresh throughout. And World of Light looks to be more of the same, with the dial turned up to 11, certainly if the opening cinematic is anything to go by. Going from the team confidently assessing how to take the enemy down, to Shulk foreseeing their impending doom, but being powerless to prevent it, to watching every single character become obliterated by light, to the lonely Kirby managing to escape and being the sole hope for the future, it was enjoyable to watch. And then catching glimpses of the gameplay in action showed much more variety than we’ve seen before, almost bordering on a top-down RPG title. It’ll be interesting to see if the final experience of World of Light matches up to the teased expectation. And that statement kind of now rings true for Super Smash Bros. Ultimate in its entirety. We’re on the home straight now, with us being mere weeks away from launch. And all that really remains to be seen is whether all the detail and content we’ve been shown all rolls up into a cohesive experience that works, is rewarding, and ultimately has longevity. It’s pretty clear that this game will be fun to begin with, but the acid test is likely to be in whether the sheer amount of content on offer is executed in a way that will keep people engaged for a decent length of time. Will this be the ultimate version of Smash Bros? We won’t have much longer to find out.